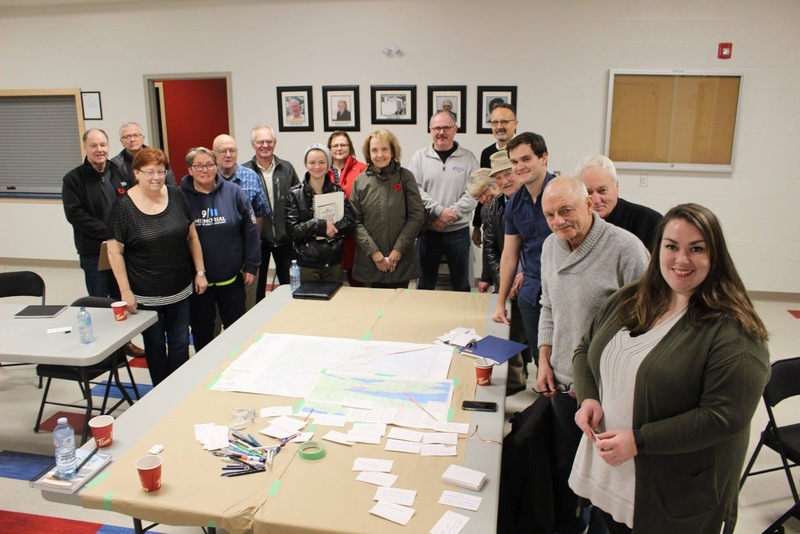 A “People, Places & Culture “Workshop was facilitated by Heritage NL in Harbour Grace 10 November 2018. The workshop comprised two parts: I) a cultural mapping activity that considered the community’s tangible and intangible cultural assets; and II) a session to explore opportunities for protecting, safeguarding and developing these assets. The latter activity involved identifying themes and clusters of cultural assets that emerged from the mapping session. This meeting involved local heritage enthusiasts, residents, town staff, and representatives from the Town of Harbour Grace, Conception Bay Museum, and the Heritage and Redevelopment Committee. 15 themes emerged from the discussion, written notes, and mapping exercise. The next step will be to prioritize these and set some actionable items with some recommendations from Heritage NL. You can view the preliminary report and the list of themes and sub topics here. The follow-up session is set for Wednesday, November 28, 2018, at 1:30 p.m. in the Firemen's Social Building, Bannerman Street, Harbour Grace, and is open to everyone. If you're interested in heritage and development, come along! We'll be going over the preliminary report, and setting some priorities for future heritage work in Harbour Grace. You can register for the workshop online.